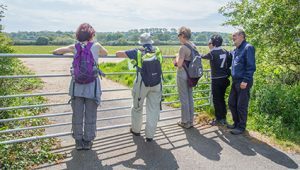 Celebrating 2000 miles and 266 Walking Festival walks that I have led, this walk follows one of my first Festival walks ‘The Beautiful Bonchurch Hills’. 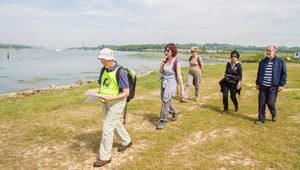 Probably one of the most spectacular walks on the Island – it has it all; a walk that cannot be bettered!! All past walkers and new ones are welcome to join this celebratory walk with me.